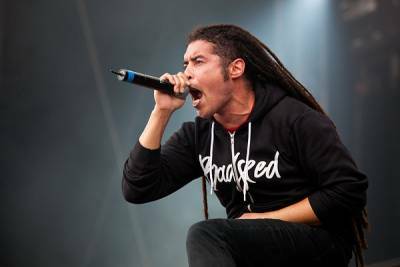 Nonpoint has brought their message to the masses on tour with Disturbed, Papa Roach, Stone Sour, 10 Years, and Megadeth, while selling close to 1 million albums in North America. Their juxtaposition of rhythm and melody gets heads bobbing, hands in the air, and crowds singing. The elite squad of Nonpoint’s contemporaries and peers with both staying power and continued creative progression includes chart-topping, trend-proof survivors like Disturbed, Slipknot, Deftones, and Korn. The Fort Lauderdale-based quintet is undeniably counted among those ranks, to diehard true believers who know what’s up. Case in point: less than 24 months ago, Nonpoint’s “Breaking Skin” was the most-played song on SiriusXM Octane for the entire year. The Poison Red, the veteran rock band’s driving and ambitious ninth album, offers further testament to what makes Nonpoint such a tough act for other bands to follow on the radio dial, onstage at major festivals like Rock On The Range or Australia’s Soundwave, and in any club blessed with one of the band’s sweaty, crowd moving, exhaustion-proof performances. From their earliest ultra DIY releases, through the trio of major label albums, to their more recent work for the world’s most important indies, the energy and determination remains consistent. “Generation Idiot” rails against internet tough guys and text-message fairweather friends, emphasizing the power of deeper means of communication and connection, which includes music. It’s one of Nonpoint’s heaviest songs ever. “Divided Conquer Them” imagines what could be achieved with a greater cultural influence on art and quality of life than in the mind-numbing routines of accumulating possessions. “Standing in the Flesh” is a penultimate Nonpoint song, reveling in the transformative, shared experience of band and audience. “El Diablo” rails against the deceivers who promise the world only to deliver pain in business and in life. “My Last Dying Breath” is a fitting closer for The Poison Red, a statement of purpose that all of the sacrifices it’s taken for Nonpoint to make it this far will not be for naught; they are lifers in this music thing. It’s hard to imagine another band with the courage to tackle Jay-Z’s “99 Problems,” Michael Jackson’s “Billie Jean,” and Pantera’s “Five Minutes Alone” in the first place, let alone pull all of them off like Nonpoint. Those reference points loudly attest to the pure skill and impressive range of Soriano (vocals); the groove-oriented rhythmic pulse of his fellow Floridian cofounder Robb Rivera (drums); the decisive and driving heaviness of longtime band mates Rasheed Thomas (guitar) and Adam Woloszyn (bass); the shredding technicality of B.C. Kochmit (guitar); and how they merge together to create the unique and recognizable Nonpoint sound. Nonpoint operates with the bottom-heavy groove of Sabbath, the audacious danger of The Crue and GN’R, the theatrical bent of Maiden, the in-your-face brutality of Pantera and the urgent explosiveness of Rage Against The Machine. This is music for the millions of people who connect just as passionately with Metallica’s Black Album as the record of the same name by Jay-Z, the same fans that grew up to start increasingly rock radio leaning bands like Bring Me The Horizon. “Not everybody wants to go see a shrink and not everybody wants to sit around and wallow,” Soriano observes. “Our music can be therapy. It is what helps someone get through something. I attest all of our success to keeping three things important: the music, the show, and the fans. 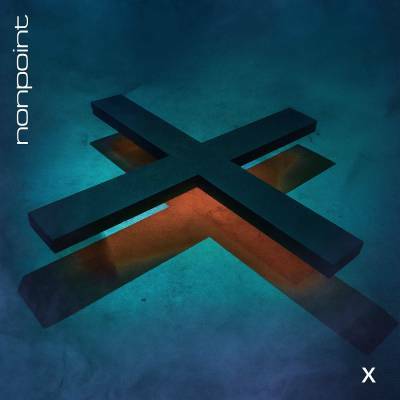 Nonpoint released two new songs recently … "Chaos and Earthquakes" and "Dodge Your Destiny." These songs will appear on the band's new album, titled X and pronounced "Ten," out August 24 via Spinefarm Records. The album is the tenth studio release of the band's career. "Ten - I can already tell is going to become a flagship record for us," said singer Elias Soriano. "Watching people's reactions when we play them the new music tells me that we have created something that is going to move crowds and may even redefine us. It's the year of the X."